For the GMAT Verbal section, on Critical Reading and Reading Comprehension, you are not expected to have specialized expertise in the topics they discuss. Sometimes, though, it is particularly helpful to have general real world knowledge. If you make a habit of reading regularly— either a good newspaper (the New York Times, the Wall Street Journal, etc.) or the Economist magazine– then probably you will have a very good sense of the “push and pull” of real world situations. 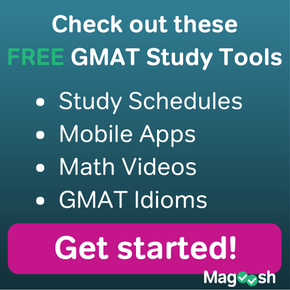 If your GMAT is soon, and you don’t have time to get up to speed with everything about the practicalities of business, economics, and politics in the real world, this is the first post in a series of real-life areas you should be familiar with: knowing these can only help you interpret these verbal questions. Each article will have hyperlinks to articles with more information, if you find the content new or unfamiliar. Again, no question will automatically expect you to know any of these inside out, but insofar as you understand these, they will provide germane background, help you interpret the question, and help you to spot unrealistic incorrect answer choices. This is a must-know idea if you are heading toward business school. If you studied business or economics in your undergrad years, supply and demand should definitely be familiar ideas. When a product or service is for sale in the free market, as a general rule, there are two forces determining how much it will cost. Demand concerns how much the potential consumers want the product or service — how willing they would be to pay a certain price for it. High demand means: people would simply line up to buy this product, even at a high price; low demand means that the product is hard to sell, that even lowering the price does little to spur sales of the product. Supply concerns how easy it is to bring a certain product or service to market: for a given price, how willing/able would producers be to bring this product or service to the market for sale. High supply means: the producers easily can bring tons of it to the market. Low supply, or short supply means: it’s harder to produce the product, and producers can’t make as many or as much as consumers would like to buy. The Law of Supply and Demand says that, in a free competitive marketplace, the price will come to equilibrium at that level at which supply equals demand. In other words, at this equilibrium price, the producers are willing to make N units, and the consumers are willing to buy N units. The Law of Supply and Demand implies — as a general rule, if a product or service becomes scarcer, harder to get or provide or make — i.e. supply drops — then usually the price will rise; and if a product or service becomes more plentiful, easier to get or provide or make — i.e. supply rises —- then the price will tend to fall. For example, when world events threaten the supply of crude oil to the US, then the price of gas in the US rises. Similarly, when demand is very high, the price typically will be high, and when demand drops, usually the price will as well. Think of a new CD or DVD — when it’s first released, everyone wants it — it’s the new “hot” thing — and since demand is high, the price it typically high; then wait a while — a few months, or certainly a few years later — inevitably interest in the item drops, and so does the price. The Law of Supply and Demand is not a universal rule. There are some rare example of items that do not follow the Law of Supply and Demand, for instance, a Veblen good or a Giffen good. You do not need to know the technical details about these exceptions, but it’s good to know that there are exceptions. 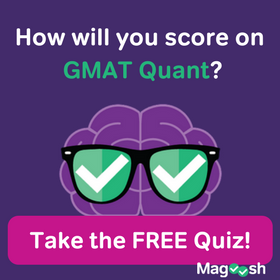 Knowledge of any of this is not “required” for the GMAT, but the more familiar you are with these facts, the easier it will be to place arguments in context and identify unrealistic incorrect answer choices. Furthermore, if you want to demonstrate your competence in business school and beyond, it certainly would be a good idea to understand all of these things well. Here are a couple CR practice questions that touch tangentially on some of these ideas. Thanks for a informative blog post. Both links are old on the page. Thank you for pointing out the old links. 🙂 I just replaced them: they should lead to live questions now. I’m very glad that you found the blog informative! Best of luck to you, my friend, in all your studies! I just wanted to say thanks for putting this together! It will be of tremendous help! Moreover, I am starting to get this habit of whenever I read well-written passages (such as Magosh´s! ), I try to use the SC skills I am acquiring. So, if it doesn´t bother you, let me ask you this question about your sentence: “…help you to spot unrealistic incorrect answer choices” of the third passage. Is the comma needed when we place 2 adjectives before a noun or not? I´ve seen sentences that use the comma (unrealistic, incorrect choices) and others that do not (the one in your passage for example). And ultimately, is the GMAT concerned with this? From one old crank to another, I’m happy to respond! 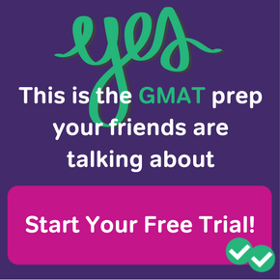 🙂 First of all, it’s important to realize that in some ways, some of the articles on this blog are in more conversational mode, so they don’t always adhere rigorously to every last feature of GMAT SC formality. Furthermore, it’s important to realize that the GMAT SC NEVER tests punctuation. Now, is there are rule here? Well, it’s a gray area, and in part, it depends on how one might articulate it in speech. In the phrase “a thoughtful, well-spoken individual” we might put a small natural pause between the two descriptive adjectives in speeech for clarity, but in phrases such as “cranky old jerk” or “hot new car,” would be more likely to speak these without a pause, so one would omit the comma. This gets deep into the issue of how spoken language reflect written language, and that entire territory is something the GMAT scrupulously avoids. Does all this make sense, my friend? It does make perfect sense to me! Thank you so much for taking the time to answer to my question , which I know was totally unrelated to the main purpose of your article. You are more than welcome, my friend. That was a good diligent question! Best of luck to you! Could you please share that list with me via e-mail ? My friend, I’m sorry, but I don’t understand your question. The entire list, in hyperlinked form, is already given at the top of the main section. That should give you access to all the articles. After I’ve done all the OG 12 and Verbal 2nd edition CR questions, I made notes of all the broader topics that GMAT tests. 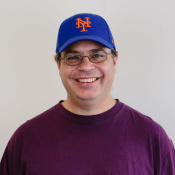 To get a better hold of all those issues I was Googling and found this blog, and thanks Mike you made my life easy!